The clocks changed last night. The Time Lords gave us all an extra hour. What a gift! Sixty extra minutes do to with what we will! You’ve probably spent yours already, haven’t you? Stayed in bed an hour longer? Watched an extra episode of ‘Stranger Things’? Done an extra load of washing? Yeah, well not me. I’m saving mine. Wouldn’t it be amazing if we could bank that hour and use it when we wanted to? Choose when to spend it, and how? Be able to top up the sand in the hourglass of our choice just a little bit and make a moment stretch? But which moment to choose? One more chance to put things right? One last chance to say goodbye? An hour is a powerful thing. It is a coiled spring, full of potential energy, humming with what might, what could, what will, what may be. As teachers, we forever long for extra time. ‘If I just had more time…’ we sigh to each other in the staff room as we look forlornly at our planning folders. 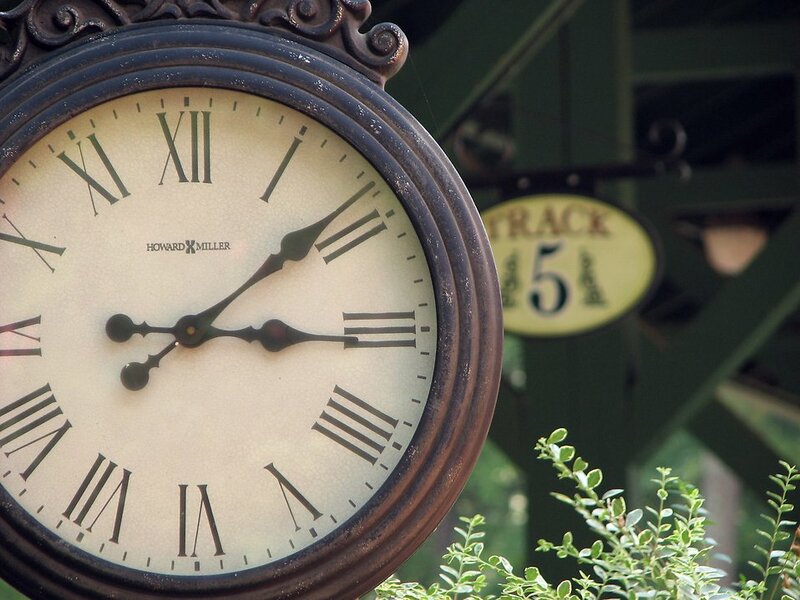 ‘If I just had more time…’ we shrug apologetically to our learners as the bell rings before the end of the lesson. We are forever at war with the clock; there never seem to be enough hours in the day to achieve all that we want to. Some teachers meet this war head on, in full riot gear. They battle with time. Their main and only objective is to defeat time and Get Ahead. If they can just Get Ahead, everything will be ok. Admittedly, this will mean casualties. You’re not going to Get Ahead without losing a few good men; it’s a sad but true fact of war. Work/Life Balance is sure to take a pretty big hit early on. Happiness and Sanity might not be far behind. The problem is, none of these teachers have ever managed to Get Ahead. They are in endless pursuit of a place they’ve never been to, but imagine is amazing. A place where all the planning is done and the resources are made and there’s lots of free time and empty space to just think about things and do a bit of teaching. It is a mirage; as soon as you see it approach on the horizon, the last thing on your ‘to do’ list tantalisingly close to getting ticked off, Get Ahead will melt away and you will look down in despair to find another ten things just appeared on the bottom of your list. That’s what life is like in teaching, and you need to make your peace with that. I should have moved on by now, but they are really engaged with this, let’s see where it goes. If you are interested in this, what could we do to find out more? I know it is hard but let’s keep going, we’ll get there together. I’m stopping now because my family needs me too. This is what matters; I know it in my head and in my heart. How will me doing this help my learners? Could I plan this with my learners? What would that look like? What if we worked together on this instead? And remember, you’ve still got that extra hour in your back pocket. Use it wisely. Don’t waste it trying to Get Ahead. There will always be another lesson to plan, another load of washing to do. Keep your eyes and ears open and look for the moment to use your hour. If you are Here Now, it’ll be easy to spot, because if you are Here Now, you are alive to all the moments that swirl and eddy around you as you wade through your day. Dip your hands in the water and feel those moments- which one could turn into something magical or important? Which moment, if you can just make it last, will mean someone in your class gets it? A colleague feels supported? A parent reassured? In other words, what the best use of that hour? Because you are the real Time Lord. You decide how time is spent; the clock is just the ATM that dishes it out. Brilliant, I promise to try!! I completely love this. Time Lords, that’s us. I will hold on to and savour my hour when the moment comes. Thank you.